Hey everyone! This is Lindi, from Love Create Celebrate. 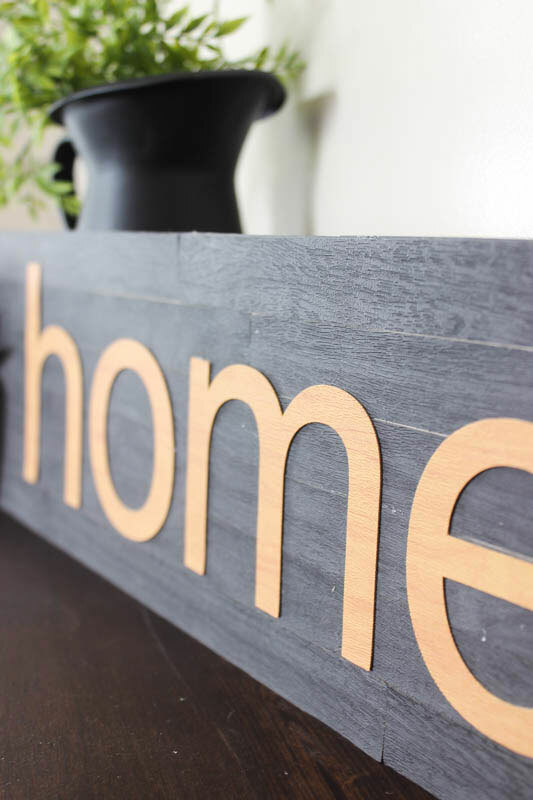 On my home and DIY blog, I share a ton of amazing home décor projects, usually with a rustic or industrial flare to them. As soon as Cricut came out with their Faux Woodgrain Leather, I KNEW I had to try it! I’m excited to share this project with you, as well as some creative glue ideas for all of your Cricut materials! 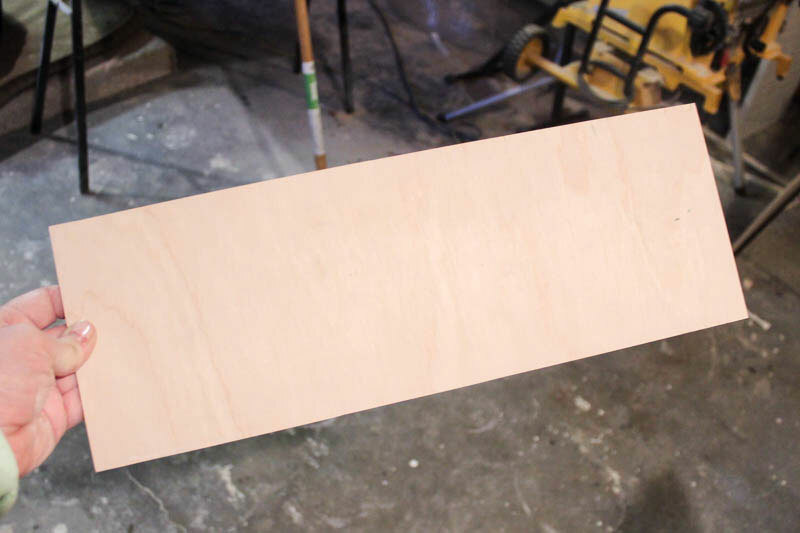 Start by grabbing your faux wood grain leather. I used the light tan colored sheet and the black sheet, because I really wanted the tan to pop. Open up Cricut Design Space. 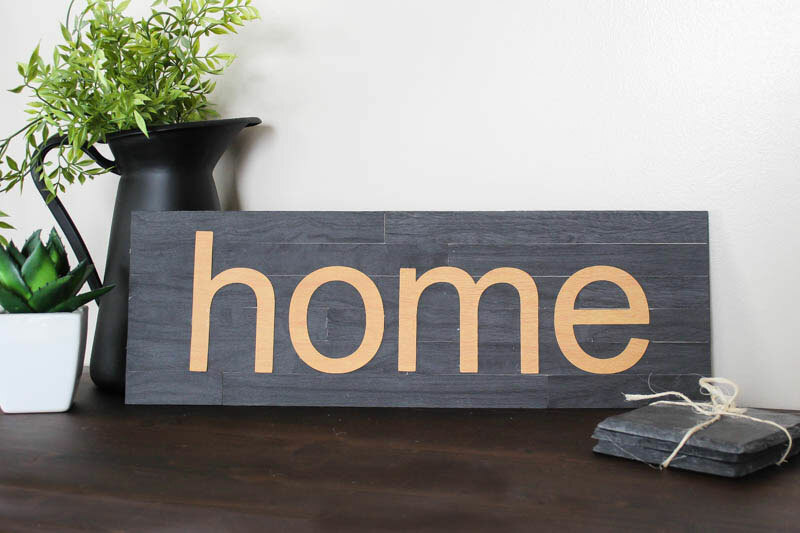 You can follow this link to open the canvas “Faux Wood Home Sign” that I created. 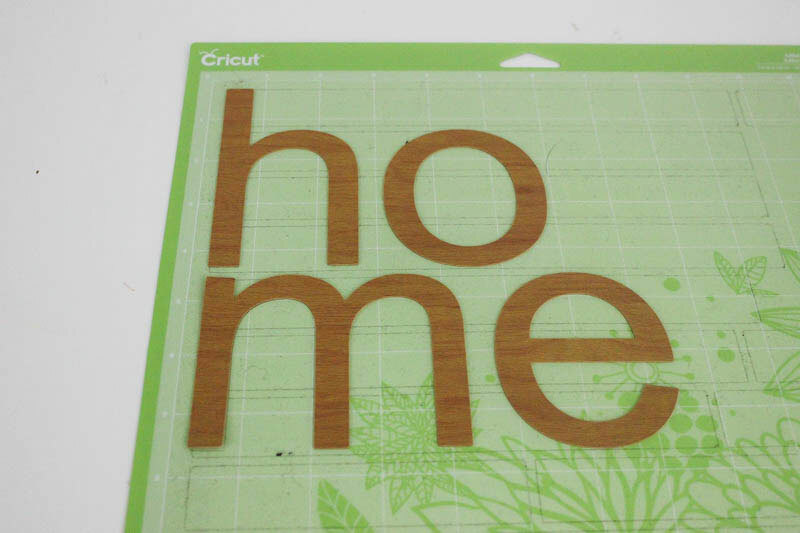 Then set your Cricut to “Faux Leather (Cricut)” and cut your pieces. TIP: You'll want to make sure your dial is set to "custom" on your Cricut and then choose "faux leather" in Design Space before cutting your project. Next, you need something to act as a background for your sign. 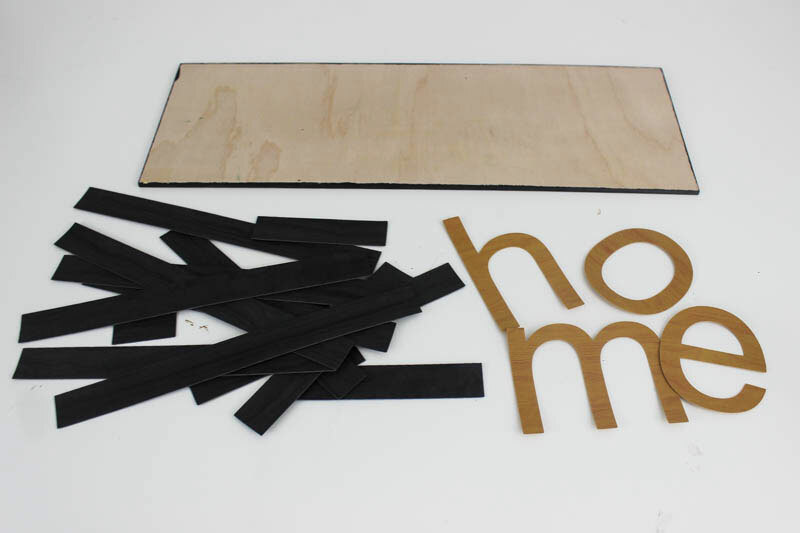 I used a sheet of plywood, but a piece of hardboard from the dollar store would work too! Just something stiff enough to stay up straight. Before I glued all of my faux woodgrain leather pieces on, I used some black paint around the edge of the plywood, so that it wouldn’t stand out on the sides of the sign. Now the big question! 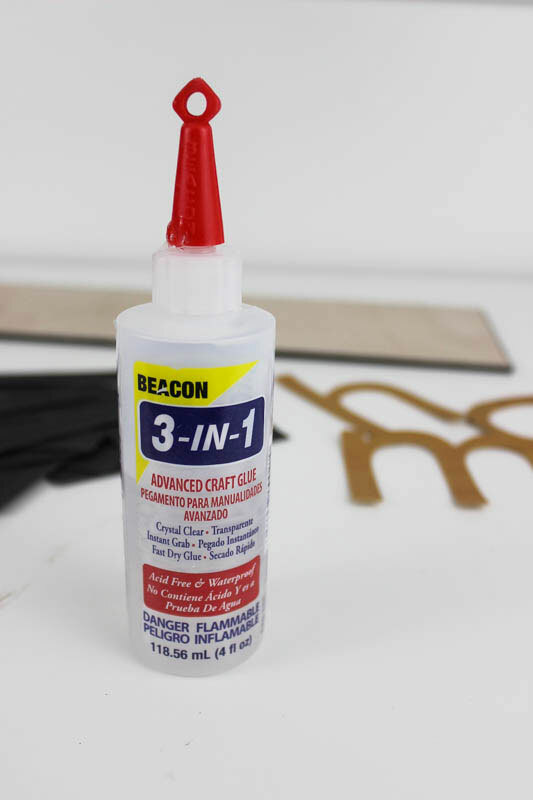 What do you use to glue faux woodgrain leather?! 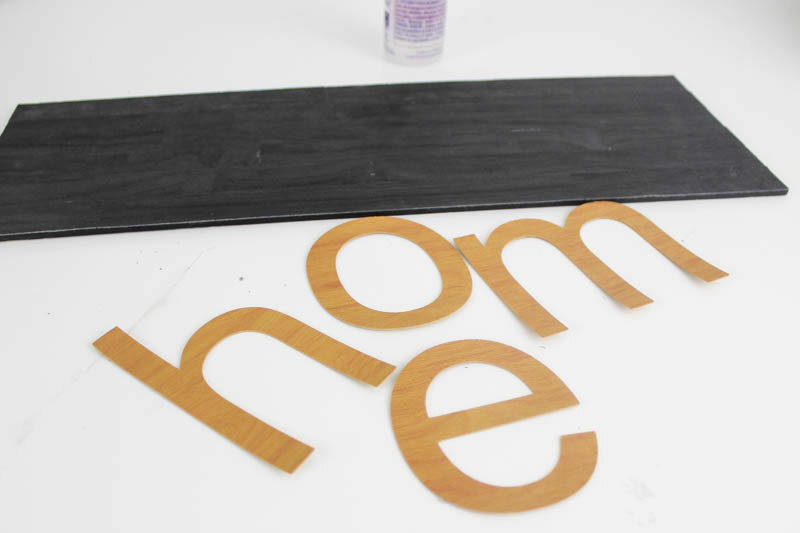 If you’re thinking glue gun… think twice! Glue guns leave a TON of strings and they tend to dry quickly, in clumps. We want this beautiful piece to dry flat. Instead of a glue gun, I reached for my 3-in-1 Craft Glue. It’s not hot, and you can place the thin faux leather pieces down without any lumps. 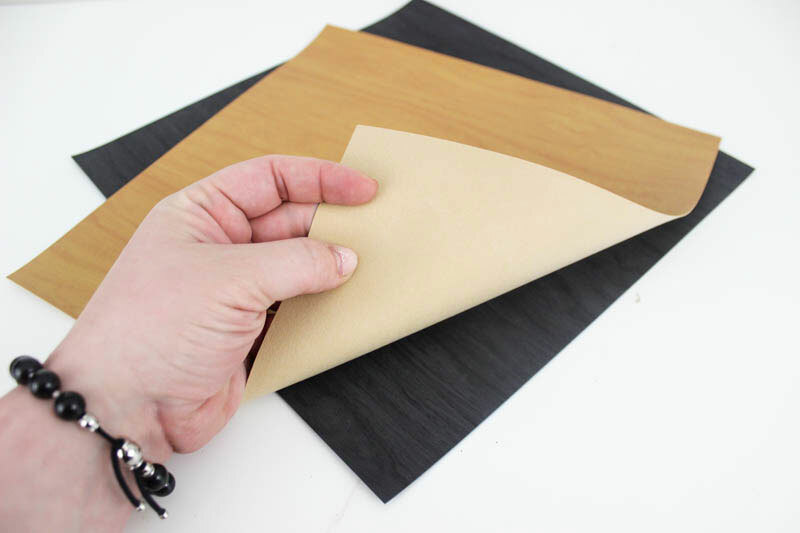 Just press on the leather to flatten the glue underneath. 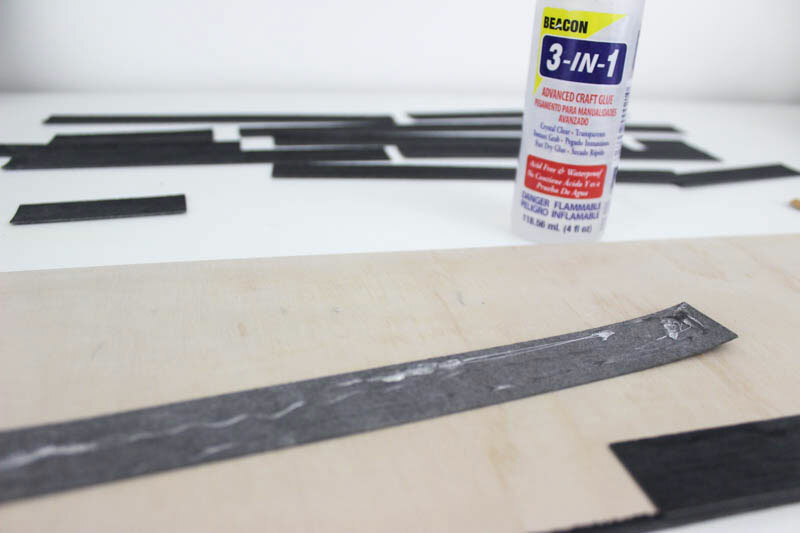 This glue is also very forgiving, allowing you to move the piece around a bit before you leave it alone, yet it still dries quickly – win, win, WIN! 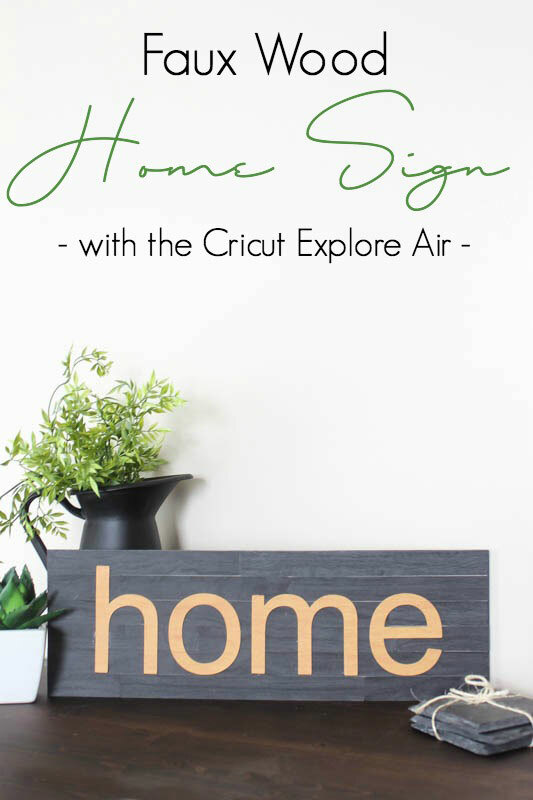 Once you have both layers of faux woodgrain leather in place, you’ll have a beautiful new sign for your home. Thanks for reading along with this project! 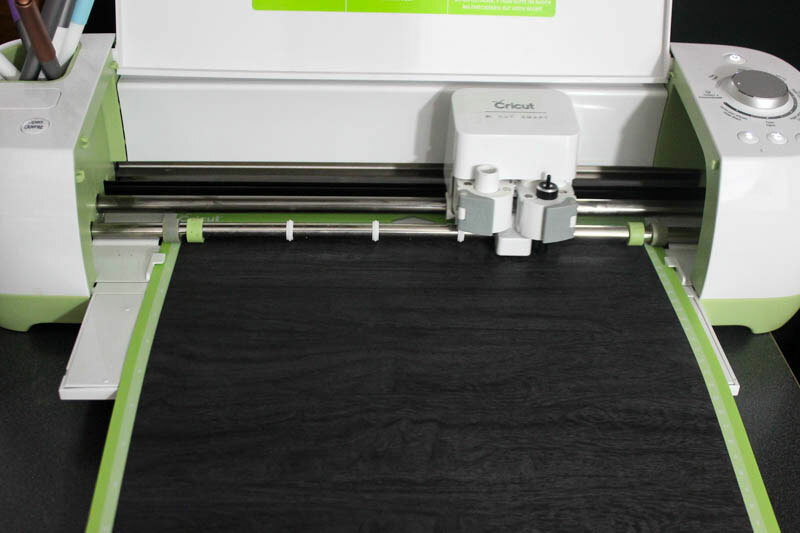 The Cricut Explore Air 2 can cut SO many different materials. I shared one of my glue secrets here today, but I’ve also shared the BEST glue for 20+ different crafting materials on Love Create Celebrate today. Come find out why I NEVER use a glue gun! I seriously looooooove this idea!!!! Totally going to do this this weekend! That is so awesome. I may have to try this soon.. This is cute! I always need inspiration for my faux leather…I definitely will try this. 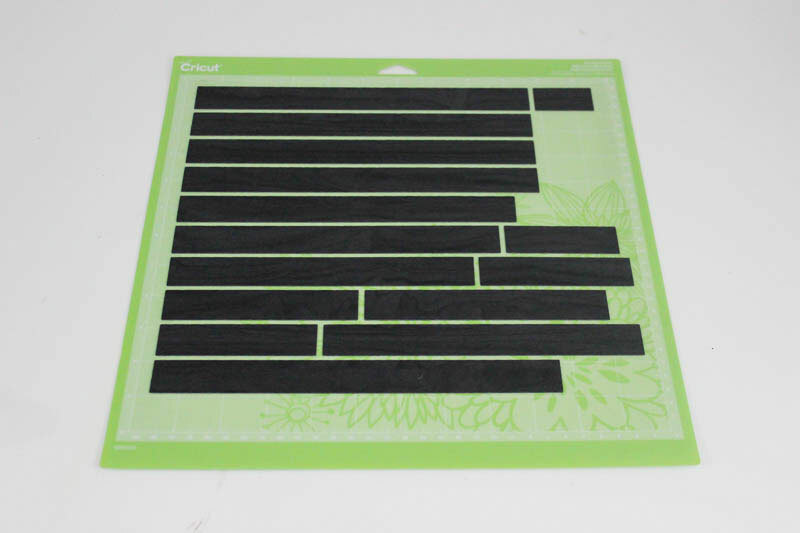 I’m still waiting for my Cricut Explore Air 2, is on the way!!! 😉 I will try this!